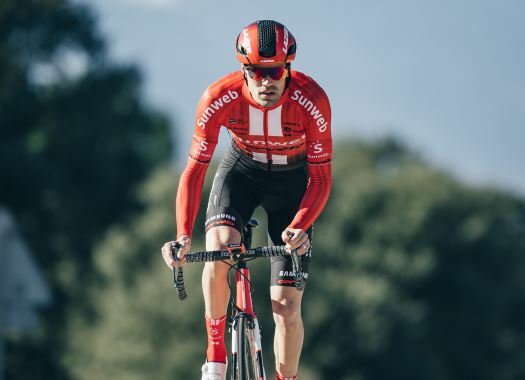 Team Sunweb's Tom Dumoulin has finished Tirreno-Adriatico in the fourth position of the General Classification. The rider made up 30 seconds in the overall standings at the individual time trial of the last stage. By the end of the sixth stage of the race, Dumoulin was in the fourth position of the overall standing at one minute and 55 seconds from the then leader Adam Yates. At the end of the last stage of the race, the Dutchman finished at one minute and 25 seconds from race winner Primoz Roglic. The rider completed the 10-kilometre individual time trial on his Cervelo P5 eight seconds slower than the winner of the race against the clock Victor Campenaerts and had the best time in the stage of the top-five riders of the race. "It was not bad but not great, it was all okay-ish and I’m not riding for okay-ish," said Dumoulin at the end of the race. "I just need to improve my general level a tiny bit and I’m not far off of where I need and want to be heading into May; there’s still time." Dumoulin's teammate Sam Oomen won the Young rider classification and finished in the ninth position of the overall standing.